With the new website now up and running we will now cease using this blogsite. We have kept the two overlapping for a few months while we ironed out a few issues. This blogsite will remain for historical purposes but all future activity will take place on the website. 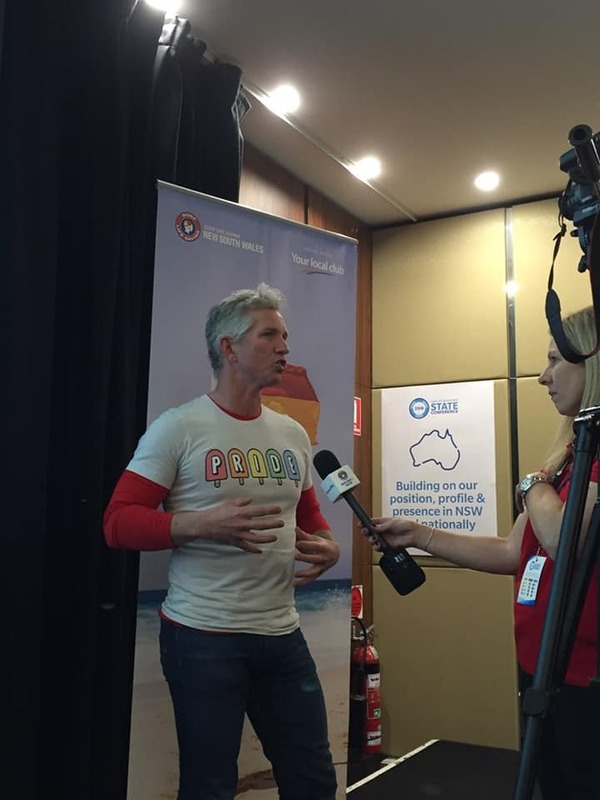 Promoting a progressive, inclusive and welcoming beach life saving culture for the LGBTIQ communith. We have been in discussion with Mardi Gras and have gained ourselves another 20 spots in the parade for 2019. So anyone still thinking of registering that thought they may have missed out, register for the parade in the coming days and lock it in. We are hoping to send our swimwear requirements to Rival before Christmas so jump in now to be sure we place an order for you. It's going to be a hep of fun. Rego link is below, although you'll need to join the page first, before registering. 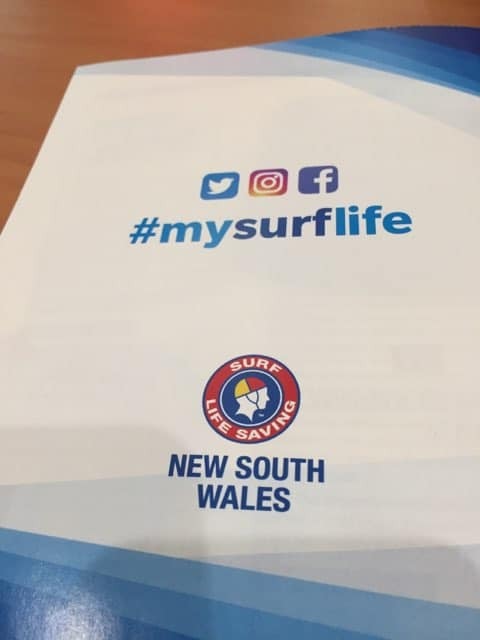 Two minutes max including a few easy questions about your surf club and music suggestions etc. Grab your lifesaving mates and make it a great night. 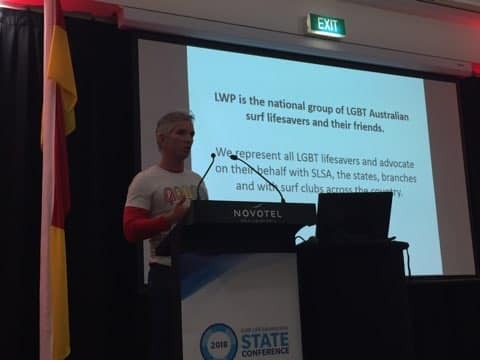 LWP are opening the registration page today for the 2019 Mardi Gras. If must be free on Saturday 02 March, and be able to come to the required rehearsals. You have to be registered on our website first to join the parade. Follow the link here and we look forward to seeing you at rehearsals. Note we are capped to 80 again this year so get in early. We are testing our rego page for the 2019 Sydney Gay and Lesbian Mardi Gras now so it'll be live soon. It's going to be huge this year. We have plenty of surprises ahead and will announce them as we go. First change is that we are launching our new website, and will migrate off the blogsite over the summer. Whilst the rego page isn't live yet, have a look around the website and spread the word on LWP. You can join the site in preparation as only people who have joined the site will be able to register. Note you'll get the same amount of emails from that site as you do from the blogsite now. Plus we can focus our comms so you don't get info on an event unless you have registered for it. Anyway, I hope you have a song ready to suggest, have started back at the gym and have that environmentally friendly glitter on order. Just letting you know that we'll be posting the registration page soon for the Sydney event, and we have a few changes in store for this year, which we'll unveil as we go. 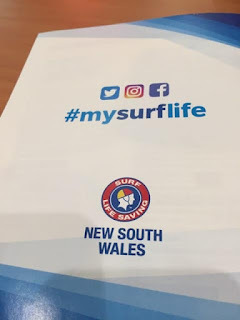 So if you are free on Saturday 02 March, and can come to the six rehearsals on Thursday and Sunday evenings beforehand (interstate people will need to watch the online posts) then start getting your thoughts together. The first change is that we will be including nippers on the float this year, so if you want to bring little ones, contact us directly so that we can lock you in beforehand. They won't need to come to rehearsals. OK, brains in motion to pick a tune, head to the gym, cut out carbs, tan up and pre-order that (biodegradable) glitter. It's going to be fun. Just a reminder that this Friday 31 August is Wear it Purple Day, created to empower young LGBT people. The City of Sydney council is hosting an event in Hyde Park for LGBT Emergency Services personnel, and LWP are invited to swing on down. The event goes from 11am until about 3pm, but the formalities are from noon until 2pm, and (we're told) lunch is provided, probably 12.30pm to 1.30pm. If you are in town, swing on down and say hi, and bring your lifesaving cap to show your support. Well the patrolling season is getting closer again, so things are warming up. 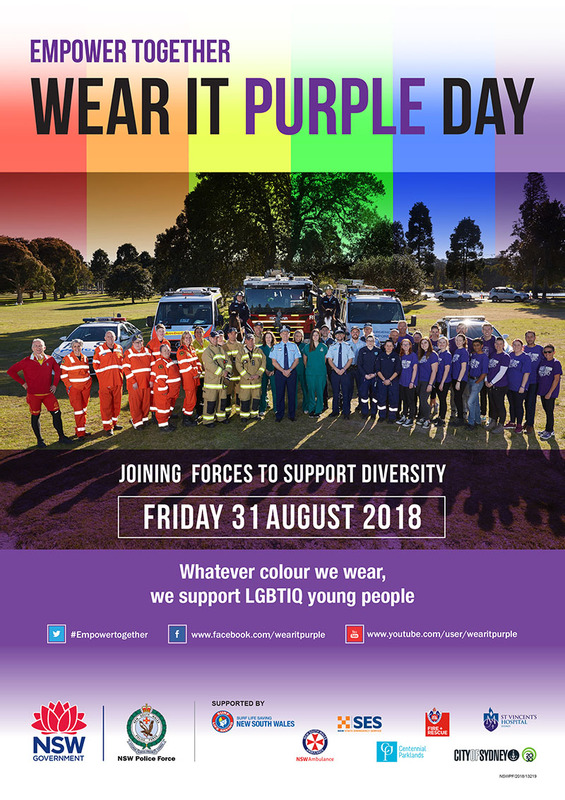 The City of Sydney is hosting an event in Hyde Park on Friday, 31 August for all LGBT Emergency Services personnel, as the headline for their Wear it Purple celebrations. So if you are in the city, swing on down to Hyde Park South corner Park and Elizabeth Streets, for lunch and to introduce yourselves to the lovely firies, ambos and cops who will be there as well. If you have your uniform, that's great; anything purple would be good too; and if not then no worries, just come along and show your support for the best LGBT Emergency Service provider in NSW, the lifesavers. LWP spoke today at the SLSNSW conference. 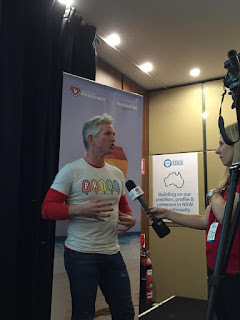 We had two sessions, one on inclusion and diversity, and one on thoughts and ideas, where we got the word out about an inclusive, progressive and welcoming lifesaving culture. We received a lot of positive feedback from staff and members, at state, branch and club levels alike. 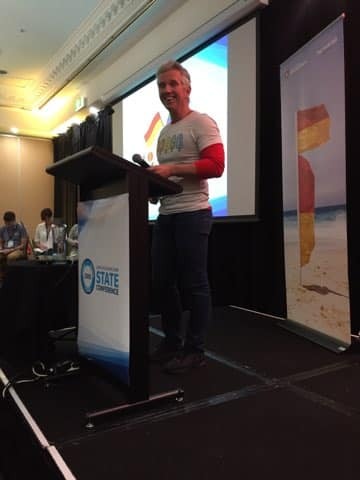 We also chatted with representatives from Queensland, Tasmania, Northern Territory, and Victoria who have also asked us to speak at their state conference too. It's great to see such progress. Everyone should feel proud of the work we are doing. LWP are super excited to be presenting for the first time ever at the SLSNSW State Conference this weekend. We're teaming up in a session on diversity and inclusion. If you are heading along, look out for us after lunch on Saturday. Check the link here for details. 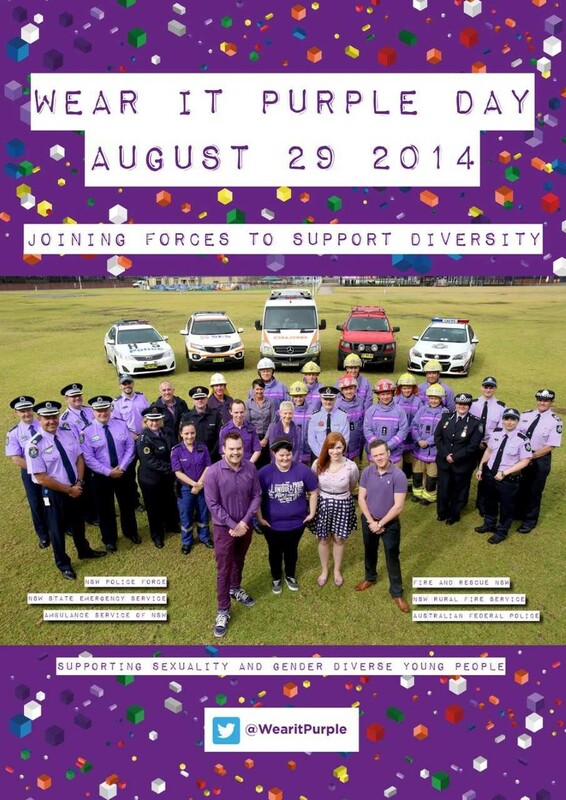 NSW Police have invited SLSNSW to participate in the Emergency Services, Wear it Purple day to celebrate LGBT inclusion amongst all the emergency services and raise awareness of youth LGBT suicide and bullying. There is a photoshoot planned for next Tuesday 9am in Centennial Park, uniforms required (no need to bring swimmers, far too cold). 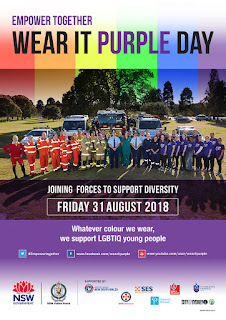 Then following that on Wear it Purple Day Friday 31 August, NSW Police Sydney Metro Region and City of Sydney council will be hosting an event in Hyde Park, either in lifesaving uniform or wearing purple. Details to follow on the time for this. Again this will be to promote prevention of homophobic and transphobic bullying and violence and the impact on young people. Hope to see you there. See the 2014 photoshoot below. Save me! 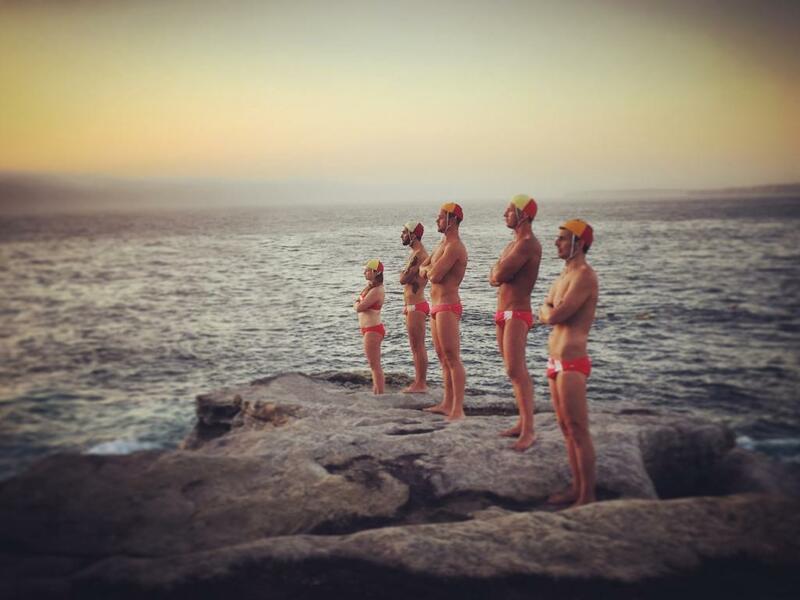 Subscribe now to Lifesavers with Pride email updates!